Conditioning is a term used frequently in the field of bulk solids processing to describe a wide range of material treatments, be it for a raw material, a byproduct, or a finished product. Conditioning is an important component in the processing of bulk solids, allowing producers to alter the characteristics of a material to suit their specific needs. However, significant variation in how conditioning can be applied, and the broad scope of materials to which it can be applied, has resulted in some confusion around the term. So just what is conditioning? Here, we’ll give an overview on how conditioning is used, as well as the equipment commonly employed to carry out the job. With such variance in application, conditioning often has different meanings in different settings. In general, conditioning can be loosely defined as the processing of a bulk solids material in preparation for something, whether that be to improve process efficiency, for depositing a material into landfill, or to improve a product’s performance. One of the most common reasons for conditioning a material is to ensure optimal downstream processing. This may involve reducing the stickiness of a material to avoid buildup in equipment, or improving the flowability properties of a material to ensure ideal process flow. Further still, it may involve creating a uniform mix of feedstock components, or even processing a material in order to prevent its entrainment in a downstream kiln or furnace. In the copper industry, for example, copper concentrates, along with reverts, flux, and recycled matte, are conditioned in a pug mill in order to accomplish two goals: 1) create a homogeneous mixture of the materials to help maximize efficiency, and 2) condition the material so that it cannot become entrained in the downstream smelter. Similarly, when agglomerating a material, it is often necessary for the feedstock to fall within a specific range of moisture in order for agglomeration to occur. This may require the addition of moisture to the feedstock, through the use of a binder applied via an industrial mixer, or, it may require a back-mixing step prior to agglomeration in order to reduce the moisture content of the feedstock. Back mixing is done by mixing dried recycle with wet feedstock to reduce the overall moisture content of the feedstock. Another common reason for conditioning a material is to improve its handling characteristics for transport, storage, or application. 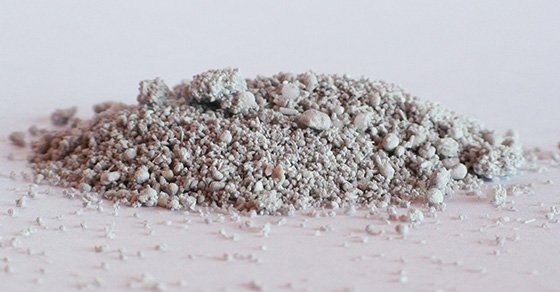 This is frequently associated with dust-related issues; bulk solids with a fine particle size distribution are often dusty, presenting a number of challenges. A dusty material is highly problematic; it can cause material to become windblown, yielding undesirable and unpredictable application results, it causes material loss, it’s difficult to transport, and in some cases, may even be a liability. A simple mixing step to cause rough particle size enlargement can go a long way in reducing dust-related issues and improving the handling and application of a material. This is frequently seen with fine materials that are landfilled, such as fly ash. Fly ash is a byproduct of coal-fired power generation and is produced in a lightweight, powdery form. While there is some opportunity for the beneficial reuse of fly ash, this material is still commonly landfilled. Before it can be landfilled, however, it must be conditioned so that it does not blow away into neighboring areas. Sludge-like materials also present handling issues, often requiring them to be conditioned. This is typically to reduce the moisture content and/or stickiness of the material to improve handling. A unique approach to managing both dust and sludge type wastes has been to mix the two materials prior to landfilling. For example, fly ash and filter cake sludge are commonly mixed together to condition the two materials in order to mitigate their associated issues; dust issues are resolved and the stickiness and moisture content of the sludge material is reduced. 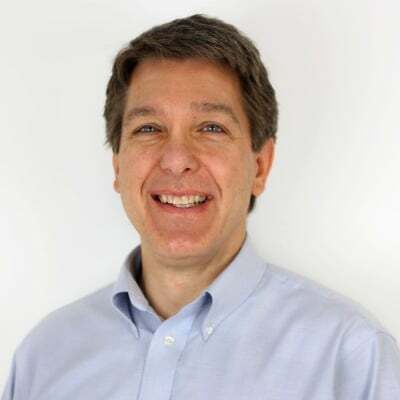 The evolution of bulk solids to meet intended applications continues to become more specialized; producers are looking for a material that meets their every requirement. This is especially true of agglomerates, which can run the gamut of everything from specialty chemicals to fertilizers and foodstuffs and everything in between. Conditioning can be used as a means of meeting some of these product goals. This might include processing to ensure a premium product is created, targeting a specific bulk density, or even to ensure product integrity is maintained throughout its lifecycle. Conditioning of a material can be carried out using a variety of different processes and types of equipment. The type of equipment chosen for conditioning is highly dependant on the unique characteristics of the material and the goals of conditioning. Pin mixers, pug mills (paddle mixers), and rotary drums are perhaps the most commonly employed conditioning equipment, with significant overlap between them, though each offers its own distinct benefits. Pin mixers are widely used in conditioning applications and are especially well-suited to conditioning ultra-fine materials. Pin mixers use an intense spinning action imparted by a rotating shaft affixed with pins. Combined with a binder (or water) and spray system, the action creates a homogeneous mixture and causes material to densify into small agglomerates. For this reason, micro-pelletizing can also be considered a form of conditioning. Pug mills, also known as paddle mixers, are another conditioning device. Pug mills are ideal in demanding applications requiring a heavy-duty processing solution. 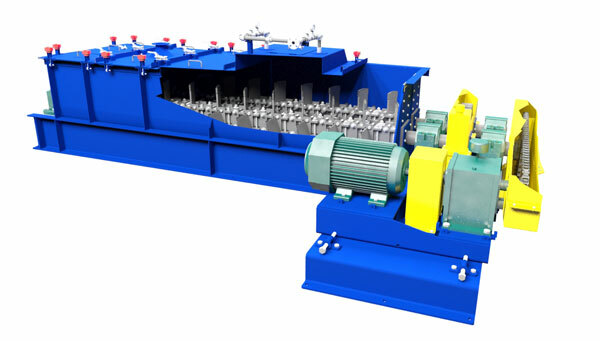 Like pin mixers, pug mills also employ a binder (or water) and spray system to promote a homogeneous mixture and rough agglomeration. Pug mills utilize dual rotating shafts affixed with pitched paddles to create a kneading and folding over motion in the mixing trough. 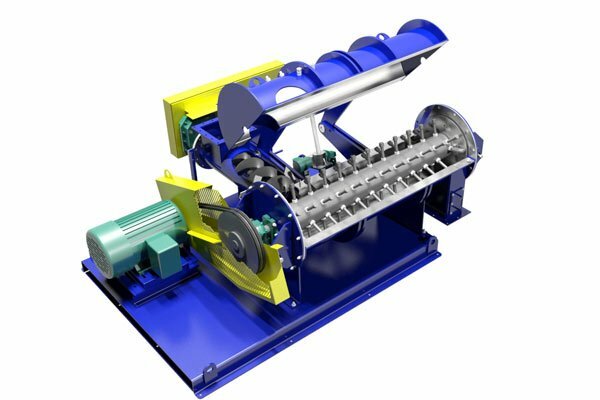 Due to their robust nature and the mixing action they employ, pug mills are frequently chosen for sludge conditioning applications. Rotary drums can also be used as a conditioning device. Due to the tumbling action that occurs within a drum, this device is often chosen with granules created via roll compaction; granules created in this manner have jagged edges that are prone to breakdown (an undesirable phenomenon known as attrition, which results in dust). The tumbling action in a conditioning drum can be used to knock off loose edges and can even accommodate additives to improve product performance or handling characteristics, such as the addition of anti-caking agents. Conversely, when working with round granules, the gentle tumbling action of the rotary drum can also provide conditioning and can further polish rounded granules. All of the conditioning equipment listed above can be used as a stand-alone device, or as part of a larger agglomeration setup (in this case conditioning may be referred to as “pre-conditioning”). In many cases, the specific characteristics of the conditioned material are negligible, so long as the material serves its purpose. In other cases, the conditioning process may be required to produce very specific characteristics in the end material. When specific characteristics such as particle size distribution or bulk density are desired, conducting tests in a facility such as the FEECO Innovation Center can be very valuable. Testing can be conducted at batch and pilot scale to determine the best approach to conditioning and gather process variables necessary for scale-up. Whether the goal is to de-dust the material for transport, prepare it for downstream processing, or improve product performance, conditioning is often a necessary step when working with bulk solids. Various devices can be employed to accomplish the wide range of conditioning goals, with pin mixers, pug mills, and rotary drums being some of the most common. 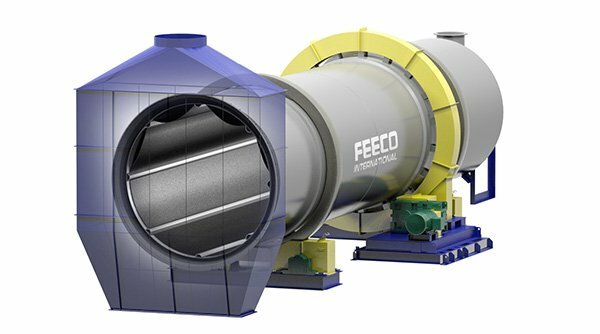 FEECO is a leader in custom material processing solutions with experience around hundreds of materials. Our conditioning equipment is engineered around the unique material at hand to produce the best results, with an on-site testing facility available to aid in process development. For more information on our conditioning capabilities, contact us today!